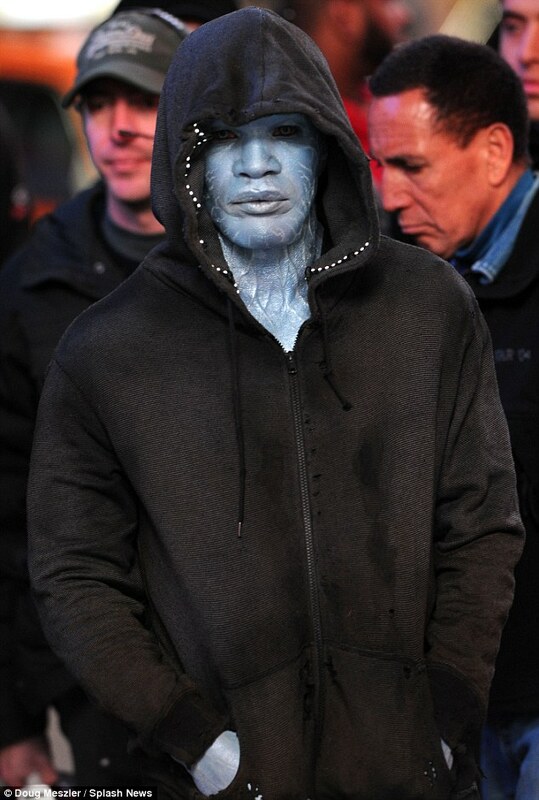 Kryptonian Warrior: The Amazing Spider-Man 2 - Pics Of Electro On Set! 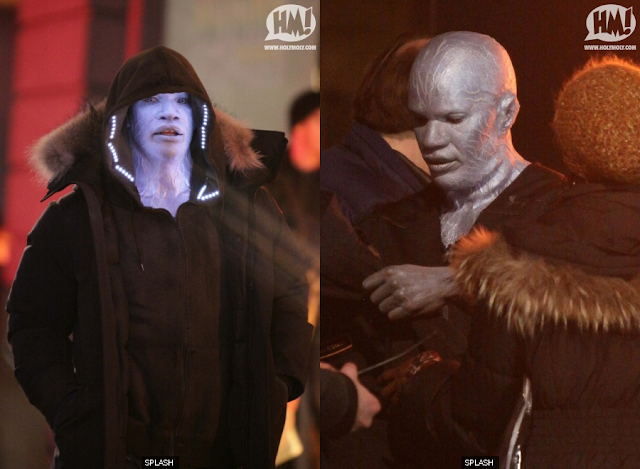 The Amazing Spider-Man 2 - Pics Of Electro On Set! 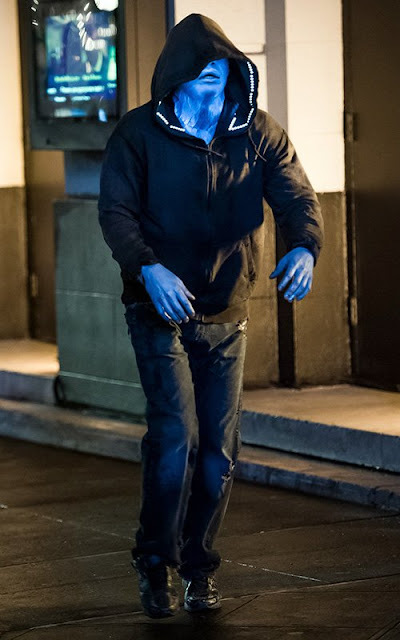 So it looks like the sequel to Amazing Spider-Man is using the Ultimate Comics version of the Electro character doing away with any green and yellow lightning lycra and mask and instead going for the blue skinned approach (with a hoodie). 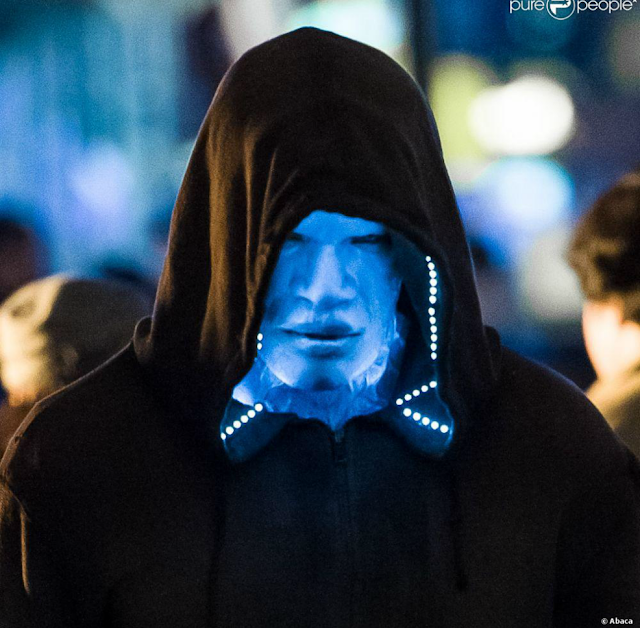 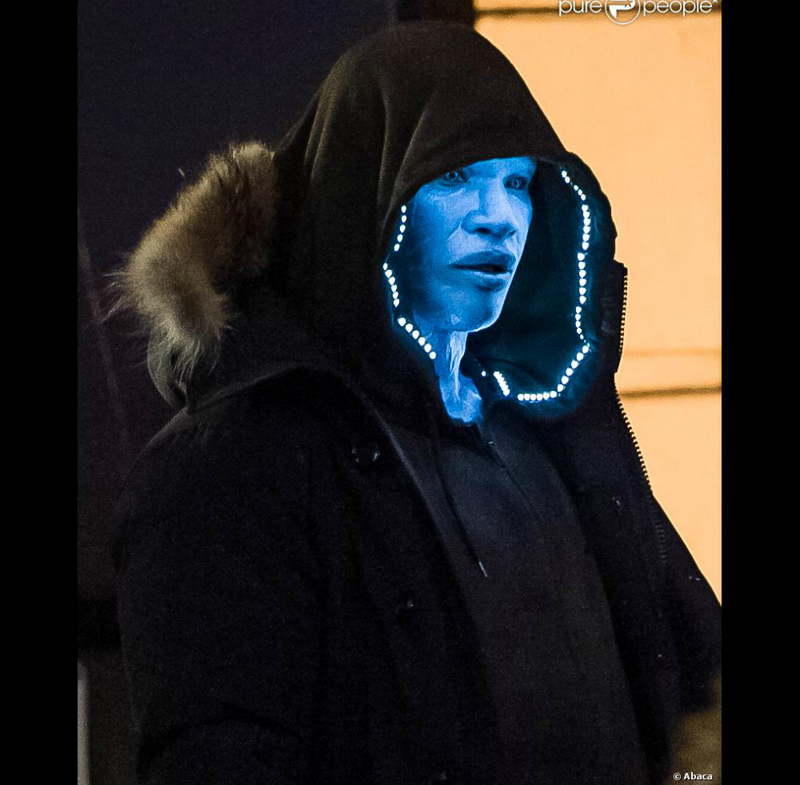 Obviously we're not seeing any post VFX added here, so we literally have a blue-skinned Jaime Foxx walking the streets with some lights in his hood, but I trust Marc Webb's approach seeing as the first movie was great... We'll see what happens!